Of the six main prizes in French literature, the annual Prix Goncourt is the one with the least amount of money but the one which carries the greatest prestige. The prize money is in the region of €10 but book sales are normally guaranteed to make a millionaire of the winner in any case. The Académie Goncourt will – as it has done since 1903 – select which promising young (or young in terms of his/her life as an author) author should be blessed with its imprimatur from a short-ish list of fifteen candidate works of prose. Last year, the prize went to 45-year-old Jérôme Ferrari for his novel “Le Sermon sur la Chute de Rome” (The Sermon on the Fall of Rome). The novelist and philosophy lecturer lives in Abu Dhabi. One of his previous novels (“Where I left my Soul”) has already been translated into English and it’s normally only a matter of time before English-speakers get to read an English-language version of the Goncourt laureate. There have been many notable winners in the past, including Marcel Proust, Simone de Beauvoir and Marguerie Duras (for “The Lover”). 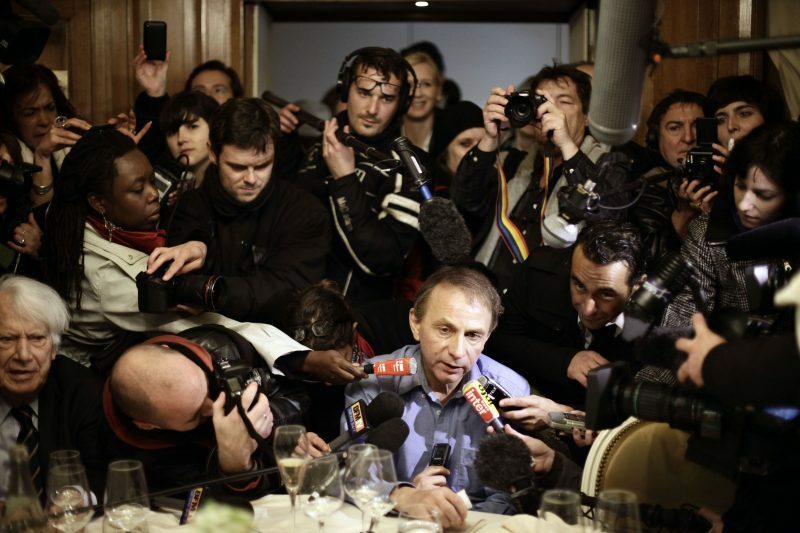 Another more recent notable winner is former Irish resident Michel Houllebecq (pictured in the midst of a media scrum above). The controversial writer won the Prix Goncourt in 2010 for his novel “The Map and the Territory”. 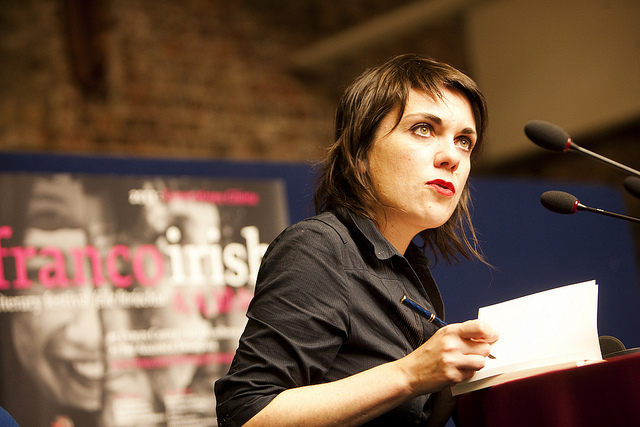 Houllebecq was shortlisted for the 2013 IMPAC Dublin Literary Award for the English translation of the same book and won Ireland’s richest literary prize in 2002 with “Atomised”. There were no surprises at the inclusion in the list of Sorj Chalandon, Marie Darrieussecq, Sylvie Germain, Pierre Lemaître, Chantal Thomas, Jean-Philippe Toussain and Karine Tuil. Two first-time authors have made the list – namely Boris Razon and Frédéric Verger – whilst the other inclusions raised some eyebrows. Amongst those who were strongly expected to figure at this point in the competition but who are excluded from the final 15 are Véronique Ovaldé, Tristan Garcia and Jean Rolin. Goncourt is a competition amongst publishers too and it’s Grasset that looks the liveliest so far, with three authors in the running from their stables, followed by Gallimard, Albin Michel and Flammarion with two nominations each. Verdier and David Bosc, meanwhile, are the outsiders that appear to be punching above their weight. 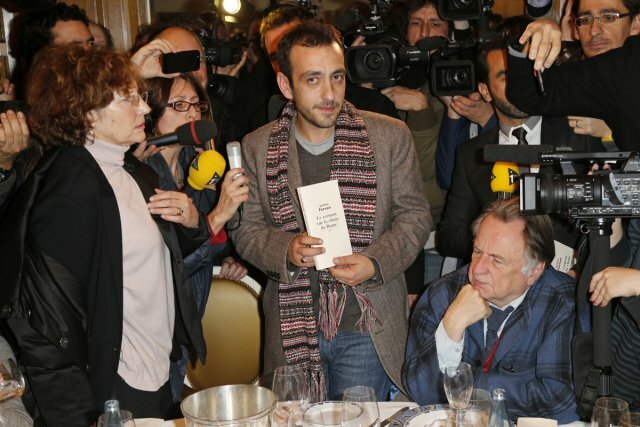 This is literary award season in France and the Goncourt list will be followed by the Renaudot, Médicis, Femina, Interallié and the Académie française. As for the Goncourt, all will be revealed at the Drouant Restaurant in Paris on November 4th.